Almondina Biscuits Review and Giveaway! 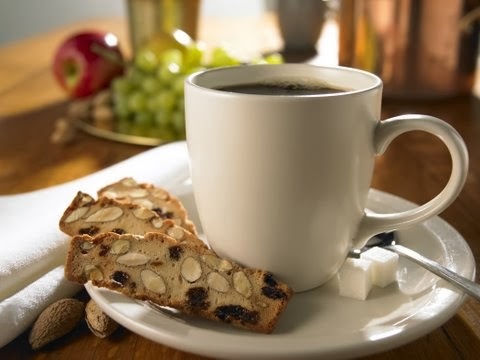 Almondina Biscuits are awesome. A thin, crunchy cookie that is totally different from anything I have ever tasted before! 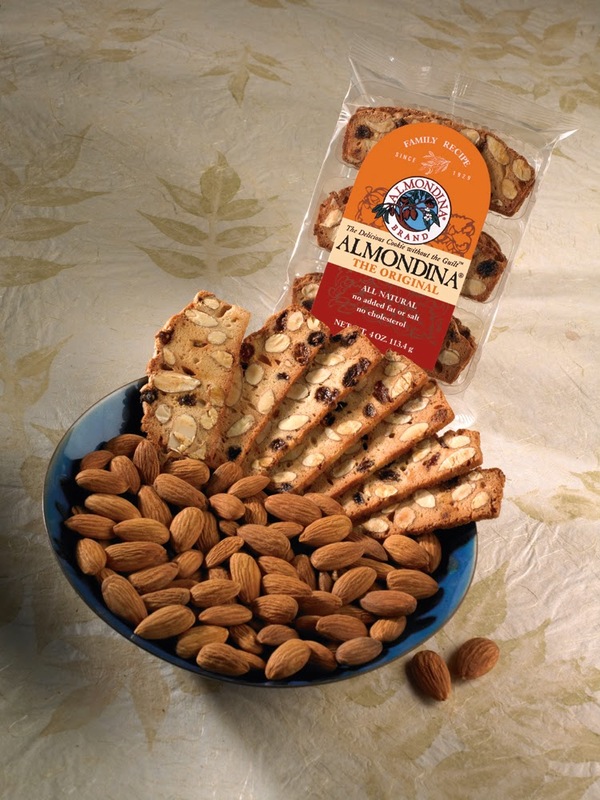 Almondina cookies come from a family recipe that has been handed down through three generations! The way the cookies are made has remained the same, just more flavors have been added throughout the years! “This all-natural, crispy almond cookie has no cholesterol and no added fat, salt, or preservatives. It is wonderfully crunchy and does not have to be dipped. It is a delightful accompaniment for coffee, tea, soft cheeses and fine light wines. The rush to eliminate fat from gourmet foods too often has also eliminated most of the flavor, a fact which is in sharp contrast to this enticingly delicious cookie.” Each slice is only 30 calories! They make a great snack, and are great in many different recipes! They are also Kosher and Pareve (no dairy)! I am not a big nut fan, so I wasn’t expecting much out of these cookies. But they are really great! I especially enjoyed the Choconut! It is chocolaty without being overly rich. It was a great accompaniment to coffee! My husband especially enjoyed The Original and the Sesame. They are crispy, but NOT HARD. Some biscuits can be so hard that you feel like your teeth are going to break. That is NOT the case with Almondina. They are crispy, but don’t fall apart. And even though you don’t HAVE to dip them, they don’t fall apart when you do! 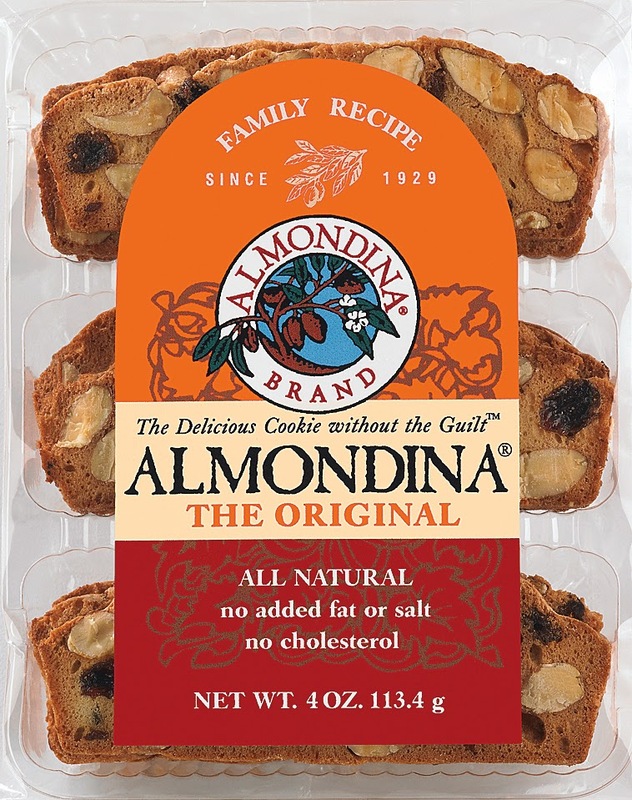 Almondina cookies are found in many major retailers around the country such as Walmart, Whole Foods, Trader Joe’s, TJ Maxx and many more! To find a location near you, go here. Almondina has generously offered to send one lucky reader the same sampler pack listed above! This is PERFECT for the holiday season! If you will be expecting holiday guests, make them feel extra special by serving them a snack that is not only healthy, but delectable! Enter to win your very own sampler pack below! Disclosure: I received a sampler pack from Almondina for review purposes. All opinions are my own. This giveaway is sponsored by Almondina. Head over to Kohl’s to score this TRU Single Serve Coffee Maker for only $29.99! Regular price: $129.99! Use code CARAMEL to get an additional 20% off! That makes it $25.49!!!! If you use your Kohls Charge Card, use the code SHIPPINGMVC to get free shipping! One Higgins & Burke™ Green Tea Single Serve cup.